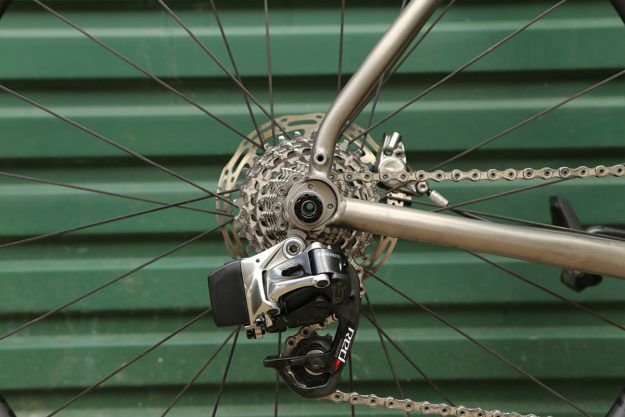 From Cycle EXIF’s technical correspondent, Richard Gearing. Mention the word ‘Titanium’ in certain circles and you’ll see grown men glaze over, drifting off into romantic, wistful state of Bike Lust. Thankfully it is not a material that is likely to be leaving the bike industry in any hurry, so bikes like the one featured here will hopefully continue to romance us for a long time to come. However, it is also a word which has fallen prey to stereotype. This has led to the unfortunate pre-disposition that titanium bikes ride ‘soft’. Whilst this can be true, it should never be assumed as this legendary material is perfectly capable of being built into a very high performing machine. Is the Curve Belgie Spirit proof of that? We spent some time on one to find out. Unlike the Belgie that came before it, the Belgie Spirit is built around the increasingly common ‘Endurance’ or ‘Gran Fondo/Sportive’ geometry; being shorter of top tube and taller of head tube than it’s more race-focused older sibling. It is also offered only in disc format – the spec of which is bang up-to-date, utilizing flat mount standard for the brake calipers and thru-axles to keep the wheels in place; which is of benefit in ensuring the disc rotors stay exactly where they need to be. 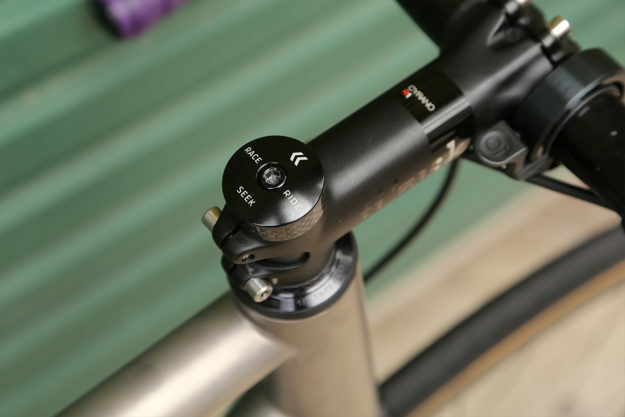 Maintaining that up-to-date spec is an oversized head tube and T47 bottom bracket. The finish of this frame is very good. Curve pride themselves on the welds of their Ti frames as they know them to be better executed than many other bigger name Ti frames. 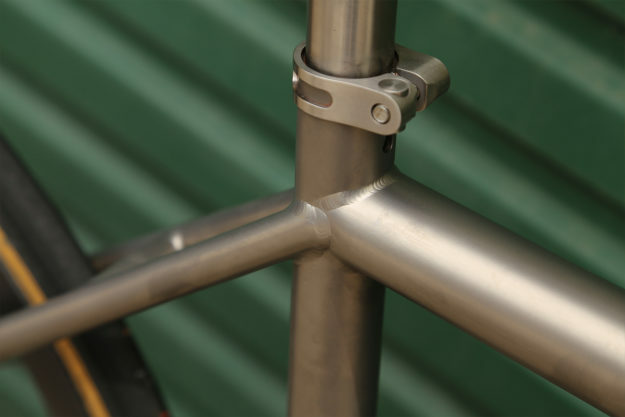 Sure, Curve welds won’t match the absolute perfection of a Moots, Eriksen or Baum, but they’re really not far off – besides which, you’re not paying anything like the kinds of prices those builders command. This is something which gives them the confidence to offer a lifetime warranty. As far as we could tell, everything about the frame was straight, true and cleanly finished; and the build came together with ease. It looks the part, too – the elegant bead-blast finish being offset nicely with a polished Curve logo on the down tube. That T47 BB is an interesting point to note. 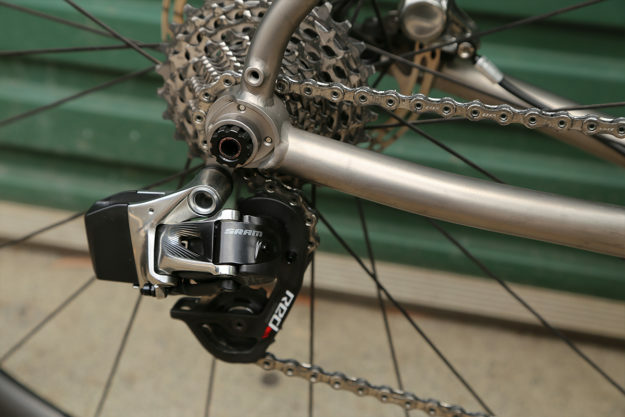 Not yet mainstream (to the point of me having to buy a tool to install it properly as none of my local bike shops had one), but perhaps the most versatile of options which offers a ‘best of both worlds’ solution to BB standards. The oversized shell offers loads of real estate for the frame builder to mate tubes to, whilst also enabling internal cable routing with plenty of room to avoid interference – although on the Belgie Spirit this latter benefit isn’t utilized, which is perhaps the only real disappointment of the frame spec. By threading the T47 shell (it is essentially a 46mm PressFit30 shell with threads) the issues that can exist with a PF30 BB surrounding the fit and subsequent creaking are eliminated; and fitting the BB is less risky on account of it not being possible to press it in badly – although you do of course require clean threads in the first place. 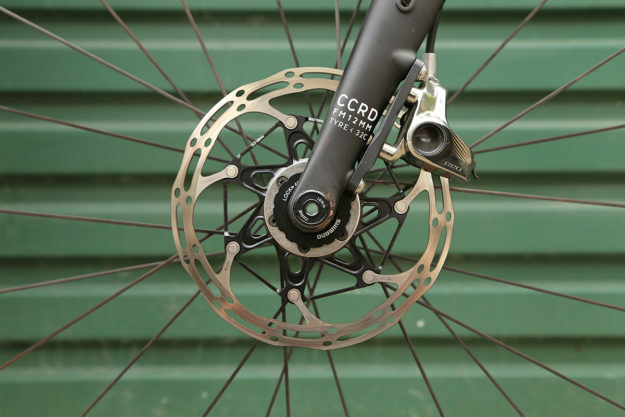 T47 will also accommodate all crank options from BB30-specific right through to 24mm Shimano-sized crank axles, and BBs are available to fit almost any option from the likes of C-Bear (which is what we put to use on this review bike) and others. 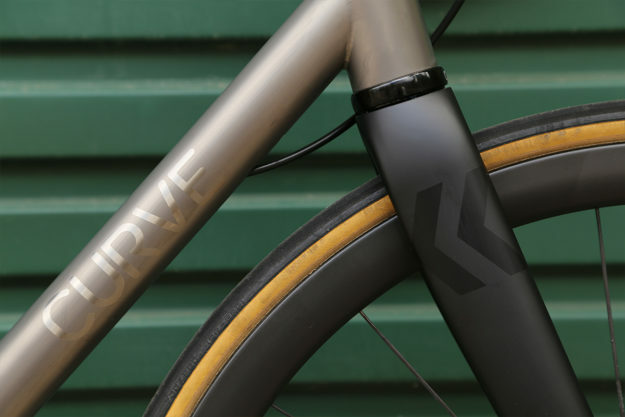 The smoothly curved, ‘hourglass’ rear stays are a nice touch aesthetically. They do play on that assumption and expectation that the back end will be soft and the ride is certainly comfortable; but we found the bike was still more than capable of a decent burst of acceleration when you jump on the pedals, transferring power without any hint of being noodly – especially when it is wearing more road-focused rubber. 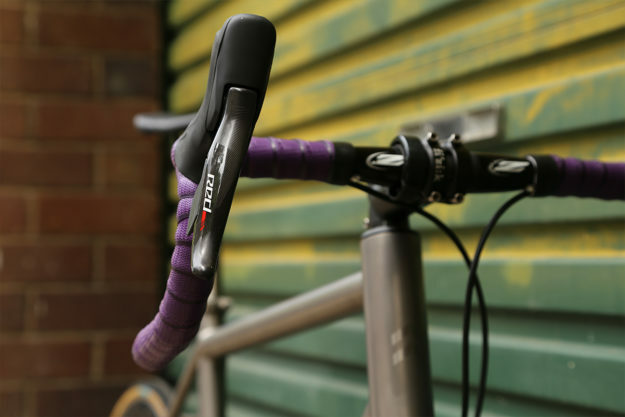 As we were sent the frameset option the bike came with a titanium seat post and seat clamp and a headset. The post is a nice shape, functions well and looks good; and the seat clamp offered no cause for concern whilst helping to tie in the Ti theme nicely. It’s a shame the post and clamp aren’t finished to match the frame, though; and the post was a very tight fit in the frame. 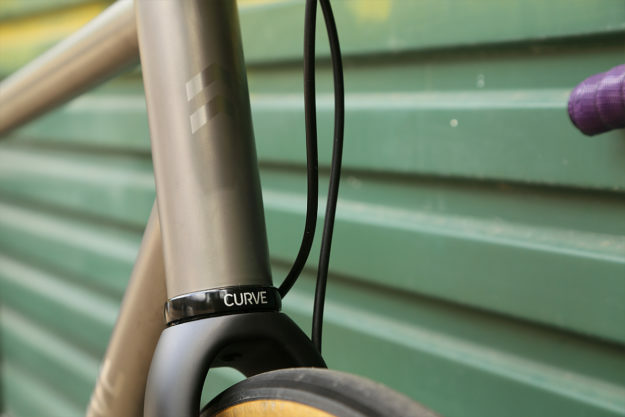 The headset is Curve-branded, which makes for a nice finishing detail; and avoids having to spend out on one of the pricier aftermarket options. 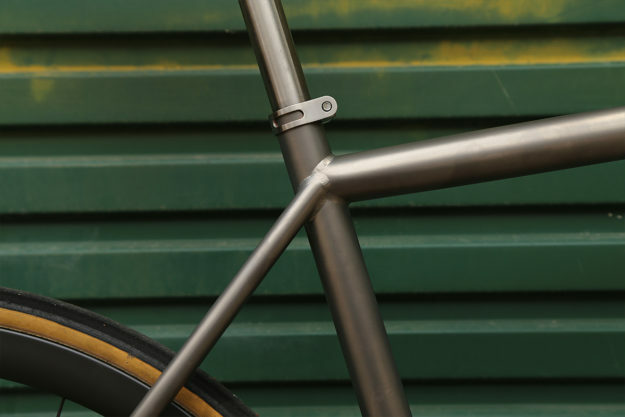 Provision for fenders is a nice touch – especially at the back end where the seat stay and chain stay bridge both have proper threaded eyelets to bolt the fender on securely. I wasn’t expecting the fork to have threaded fenders mounts too, and it also has a threaded mount under the crown to bolt the fender directly to the underside of the fork. My only wish here is that some thought had been put into making these mounts better hidden for a cleaner look to the frame and fork when fenders are not in use. 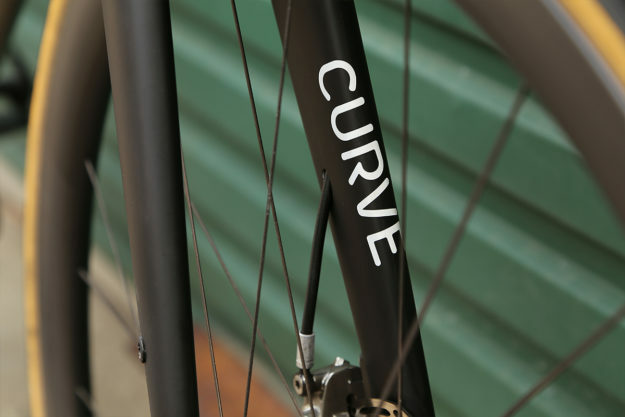 The own-brand fork that Curve spec on this bike has a slightly longer axle-to-crown measurement than a more road-focused fork – the obvious benefit being that it readily accommodates larger tires (up to 35c without fenders; and circa 32c with). The ride benefits from that larger volume too, as when it is wearing road rubber the bike is bordering on being too firm up front. It does track really nicely, though; and some will appreciate the reassuring feeling of that solid front end. I wasn’t sure how well this bike would suit my riding, purely on the basis that I don’t have access to anything other than ‘token gesture’ gravel sections without hopping in the car – meaning all of the testing I would do on this is most likely road-based. Any fears or concerns I might have had were entirely unfounded, though. It makes for a perfectly good road bike that, in all honesty, was only really distinguishable from the carbon bike I was also running on the basis of weight; and even then there wasn’t a significant difference. There is no doubting it is a ‘gravel’ or ‘all-road’ bike at heart – and that is a job that the Belgie Spirit fulfills with aplomb. However, this really does have the potential to be one bike to do it all. For those who aren’t able to have a full quota of bikes for each niche but need a bike that will do everything, this is the kind of machine that should be first on the list. 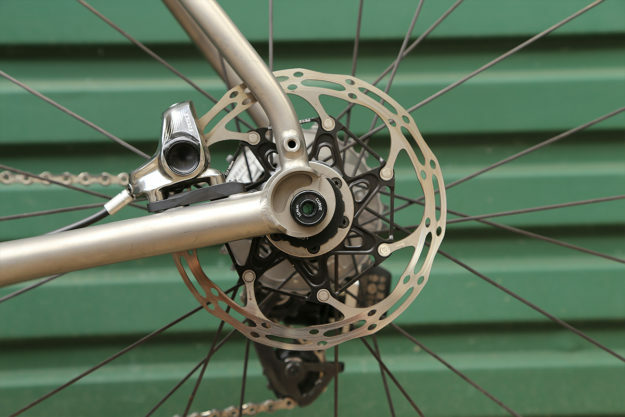 Dare I say it, it won’t be the fastest bike on the circuit but, now that Australian and UK racing authorities allow disc brake use if the engine is capable and you have no other choice, the Belgie Spirit will probably even handle a spot of racing. 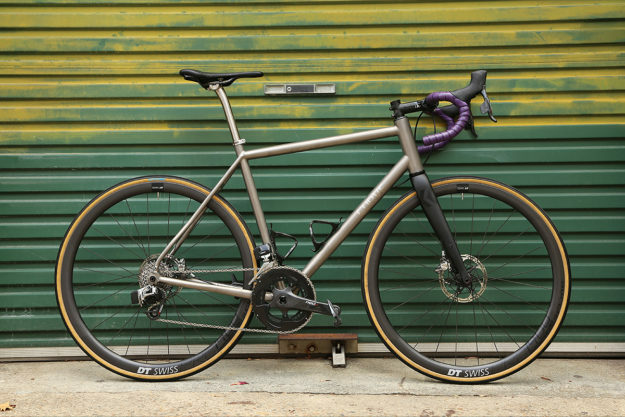 Proven on the most grueling of testing grounds (it was used by a number of competitors in the Indian Pacific Wheel Race), it’s a robust, versatile bike that fulfills the dream of owning titanium, but without the need for the deep pockets that such a dream often requires. 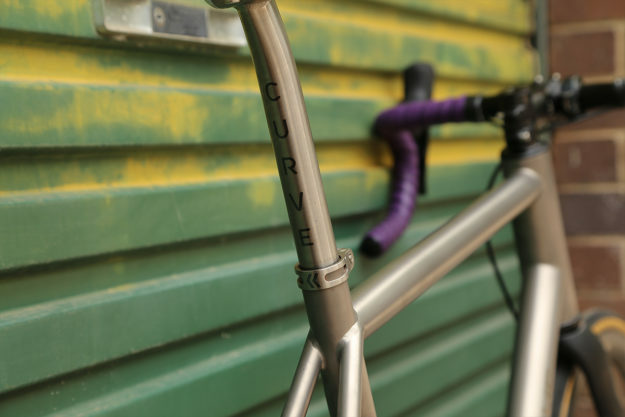 The post Ti Infinity And Beyond: Curve Belgie Spirit Review appeared first on Cycle EXIF.